Automate your lead research to provide more personalized interactions and drive higher conversions. Given a list of emails, this template will get demographics, social info, and company information for each contact. 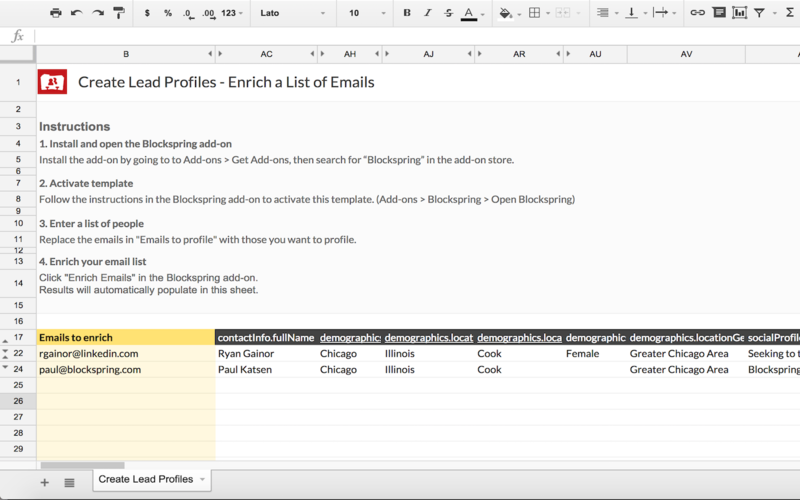 As a next step, try combining this template with the output of List Building templates such as this one that creates email lists. FullContact offers a free tier with 500 matches/month as well as business tiers which are detailed here. This template will find 480 to 4,800 matches at a time depending on your FullContact plan. You will need an account with each third party service. The template will walk you through creating these accounts.